Many chemical makers increasingly rely on contractors to supplement their in-house workforces. Indeed, at some sites, contractors likely make up a majority of the workforce. Pointing up the general trend, “Safety Performance Indicators — 2014 Data,” published in June by the International Association of Oil and Gas Producers, London, a trade group focused on upstream activities, indicates that contractors accounted for 78% of its members’ total workforce hours in 2014 versus about 50% in 1995 (Figure 1). Figure 1. Global data show the increasing role played by contractors. Source: “Safety Performance Indicators — 2014 Data,” International Association of Oil and Gas Producers. Ensuring these contractors meet all requirements — in terms of health and safety training, experience and security — has become a significant administrative burden for operating companies. As a result, many are turning to third parties to verify that contractors satisfy all requisites for a particular site and to match an individual to the most appropriate job. One company that has taken this route is Lubrizol, Wickliffe, Ohio. Originally, the specialty chemicals maker used in-house databases to manage contractors. In the last year, it has adopted ISNetworld, a database created by ISN, Dallas. “These systems provide companies such as Lubrizol with leading indicators, as well as providing an accountability and record-keeping tool,” notes Michael McEvoy, senior safety specialist at Lubrizol’s Texas City, Texas, site. The contractor prequalification systems give safety scores on factors such as experience modifier rate, total recordable incident rate and total recordable rate. Contractors are allowed to access Lubrizol’s contractor safety manual, which is available via ISNetworld. They then must complete questionnaires. ISN uses various background-checking packages to provide added layers of protection in terms of security. “These prequalification tools better provide us with leading indicators and snapshot pictures of their safety training along with allowing our company to prescribe expectations before the contractor even comes on site,” adds McEvoy. He also worked hard to ensure the rapid inclusion in the database of the company’s “go to” contracting companies — 95% signed up within the first 90 days. Today, no contractor is allowed on site without meeting Lubrizol’s prequalifications — all of which are managed within ISNetworld. However, the company retains a waiver policy, which typically applies to small contracting organizations, ones usually with fewer than five engineers. Their staff are permitted on site as visitors and are accompanied at all times by a Lubrizol employee. ISN's roster of customers now contains more than 30 chemical companies, including The Dow Chemical Company, PPG Industries and AkzoNobel. 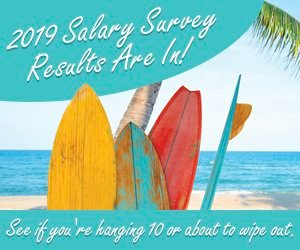 “On average, a contractor in the chemical industry is connected with about 13 ISN hiring organizations. By reporting information through ISNetworld, contractors are able to reduce the administrative burden of providing similar information to each hiring organization on an individual basis,” notes ISN director Brittany Surine. The ISNetworld system has evolved over the years as a result of feedback from both contracting and operating companies. This feedback ranges from small usability-based requests to the development of new tools, such as the training qualifications tool, which many companies operating in the Gulf of Mexico now rely on to comply with the safety and environmental management systems requirements of the U.S. Department of Interior’s Bureau of Safety and Environmental Enforcement. ISN’s subject matter experts review key pieces of the information that contractors report, ensuring consistency with the requirements set forth by their hiring organizations and regulatory agencies. ISN also partners with over 30 data providers to import training qualifications, audits and other information into ISNetworld, to centralize all the relevant data in one place for its hiring organizations. A number of companies supply security information to the database in the form of background checks. One is Occuscreen, Vancouver, Wash., which has been providing such checks for 25 years. Its package covers issues such as identity development, criminal records both domestic and international, civil records, driving records and references. DISA, Pasadena, Texas, does a similar job; each client can order and track employee background screenings online. The company developed its proprietary online data management system, DISAWorks, to give users the ability to track and manage sensitive program information in a highly secure, real-time environment. In addition to managing their contractor needs, operating companies are using this information in a number of ways to improve their business performance. One is for benchmarking against other manufacturers and among various contracting companies; ISN offers a package to help with this. Another benefit comes from standardizing contractor management around the globe, making the hiring process more efficient and streamlined for chemical companies with sites in different parts of the world. Large manufacturers aren’t the only beneficiaries, says ISN. It also is seeing uptake among small- and medium-sized operating companies. “Smaller companies may have a leaner workforce, with workers wearing many different hats. Using ISNetworld allows them to help alleviate a huge burden of resources, a lot of paper pushing, and makes them available to do other jobs on the site,” notes Surine. “In terms of how the demands on us have evolved, the principles have remained consistent. The biggest change over the last few years, however, is the increased interest in tracking employee-level data in addition to company-level data. As the industry becomes more resourceful, it is looking at how to use such data to keep raising the bar in terms of security, safety and compliance,” says Surine. Constant reviewing of the ISNetworld data, building on existing individual-level competency information and keeping up with industry trends are the priorities for the company now, she adds. Support for background checks is substantial, according to First Advantage, Atlanta, another leading global provider of background screening analytics and identity tools. A survey published by the company in August found that almost half of employees felt that background screening raised the credibility level of their organizations and made both them and the organization more trustworthy. Interestingly, the same survey also revealed that the information on 46% of U.S. resumés checked didn’t agree with details on employment screening records. To get an idea of the scale of screening demanded by some companies, consider Genentech. Over a five-year period, the South San Francisco, Calif.-based firm used First Advantage to carry out 10,000 background screening checks on both contractors and applicants for full-time jobs. Originally, Genentech’s corporate security team processed such information manually, a paper-based process that involved re-keying all the applicant data into the company’s own system. This time-consuming, cumbersome and inefficient system was replaced by First Advantage’s online portal, which ensures that all the information the company needs is gathered in one place. Today, Genentech’s security team uses First Advantage to help with the 2,500 full background screenings it carries out every year on people hoping to work at its plants around the world. First Advantage itself has 27 locations in13 countries and conducts over 54 million background screens annually, checking 16.8 million people, often multiple times for different companies. Sometimes, companies rely on a local trade or training group to coordinate the process. For instance, in the Joliet, Ill., area, the Three Rivers Manufacturers’ Association (TRMA), Joliet, which is linked to First Advantage, handles the background screening programs for contractors working in the chemical and petrochemical industry. “These contractors move from plant to plant and it is important to have a program that meets the needs and is recognized by the member plants. Each contracting company sets up an account through us with First Advantage to place the orders. The results are only available to the contracting company,” notes TRMA’s executive director Jerry Caamano. One TRMA program covers background screening for nine chemical companies: AkzoNobel, Americas Styrenics, Citgo Petroleum, Dow Chemical, Flint Hills Resources, IOI Loders Croklaan, Solvay, Styrolution America and Stepan. “These nine manufacturers are regulated by the United States Coast Guard and must verify any worker working unescorted in the facility is properly vetted,” he explains. In this case, a background search consists of four elements: social security number verification; motor vehicle report; a prohibited-parties database search against U.S. government watch lists to identify individuals such as specially designated terrorists and known narcotics traffickers; and a county criminal history search for the previous seven years in each county where the person resided during the last seven years. Before being able to request background checks for its workers, each contractor company must set up an account with First Advantage. The contractor then must order a background check prior to registering a person for the specific safety training that is needed to work with one of the nine companies. A completed background check contains a graded score assigned by First Advantage to make it easier for the contractor to interpret the results. Each TRMA manufacturer sets the score necessary to work at its site — this can vary significantly from site to site — and communicates that score to each contractor. To be acceptable, a worker must score at or below that number. The number of background checks has remained pretty constant in recent years, says Caamano. The primary focus of the screening is on the level of project and maintenance work contractors are being asked to perform at the plants, he adds. In another development, the Industrial Safety Training Council (ISTC), Baytown, Texas, a non-profit occupational health and safety training organization, has teamed up with 15 other safety training councils to launch an upgraded version of the Background Check Graded (BCG) package. BCG 2.0 gives plant operators and contractors a more-comprehensive screen of their workforce. It includes enhancements such as: identity authentication using expanded commercial databases; deeper criminal searches that check all identifiable maiden names and aliases; more federal searches; and additional comprehensive National Criminal Database searches. The ISTC says that by developing a tool that can be used by all U.S. safety training councils the group has provided a way for the chemical industry to save more than $30 million/y by avoiding redundant annualized background screening costs. Advances in security technology ease the task and make good business sense.